NerdWallet Shopping’s scoring of the best double strollers is based on our analysis of the opinions of experts and shoppers like you. Choosing a stroller takes careful thought and consideration — after all, your baby’s safety while you’re out and about is important. We researched some of the most popular models on the market to help you decide. To narrow the field, we looked at expert opinions from review sites such as The Sweethome, CNET and Good Housekeeping. We then analyzed user reviews to get their opinions on each stroller’s best and worst attributes. We recognize that consumers look for different qualities in strollers, so we scored these user observations based on a handful of features, including ease of use, weight, safety, accessories and more. Overall score: This score shows reviewers’ overall satisfaction level with the stroller as a whole across 13 criteria, including functionality, ease of use, maneuverability, accessories and durability. Functionality: This score, which also factors into the overall score, reflects reviewers’ satisfaction with the stroller’s level of functionality, in particular how it relates to the baby. Categories that factor into this score include: comfort, safety features and noise level. We isolated functionality in particular, as it’s one of the most important features when selecting a stroller. Ease of use: This score, which also factors into the overall score, indicates reviewers’ satisfaction with how easy it is to use the stroller. Categories that factor into this score include: ability to fold the stroller, the stroller’s weight and its maneuverability. 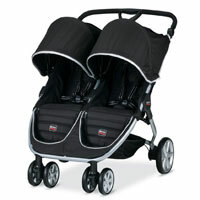 We isolated ease of use in particular, as it’s one of the most important features when choosing a stroller. 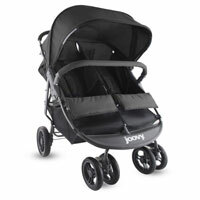 A side-by-side double stroller with plenty of storage space, the Joovy ScooterX2 Double provides little ones with padded, reclining seats for a comfortable ride. 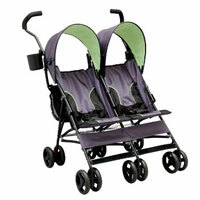 The tandem Baby Trend Snap-N-Go Double stroller is liked best for its lightweight design and convenient setup. 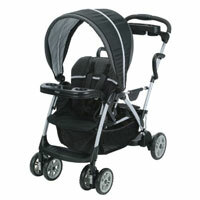 Simply place infant car seats on the stroller’s frame without ever having to move (or wake up) either child. The side-by-side Britax B-Agile Double stroller brings convenience and ease-of-use to the forefront with its adjustable handle, lightweight frame and quick-fold design. 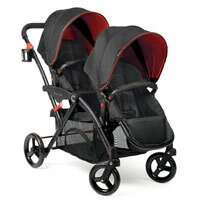 Lightweight and easy to fold, the Delta Children LX Side by Side is ideal for busy parents seeking a stroller that’s as simple to use as it is to store. 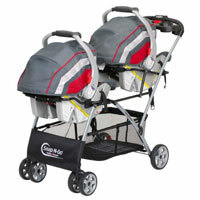 The side-by-side Baby Jogger City Mini Double provides a comfortable cruise for your two little ones. And while your children are relaxing in the reclining seats, you’ll enjoy being able to maneuver the device easily with one hand. Designed to help users “stroll with ease,” the tandem Graco RoomFor2 Stand & Ride stroller is a lightweight baby-transportation system that’s easy for parents to maneuver and gives its young riders the choice to sit or stand. The side-by-side BOB Revolution Flex Duallie features a sturdy design that provides a smooth, agile ride. 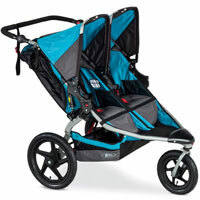 Plus, the fitness-oriented stroller is sold in a variety of bright colors. 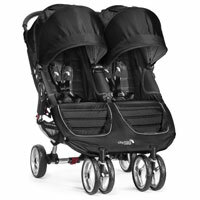 It’s all about the extras with the Contours Options Elite Tandem, a stroller that boasts a sturdy design, large sunshades and plenty of storage space. With its reliable suspension system and easy-to-maneuver design, the BOB Revolution SE Duallie is a side-by-side stroller that’s ideal for consistent, everyday use. 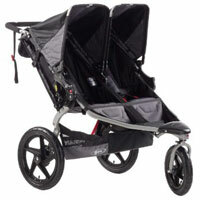 Is a Bugaboo Stroller Worth It?